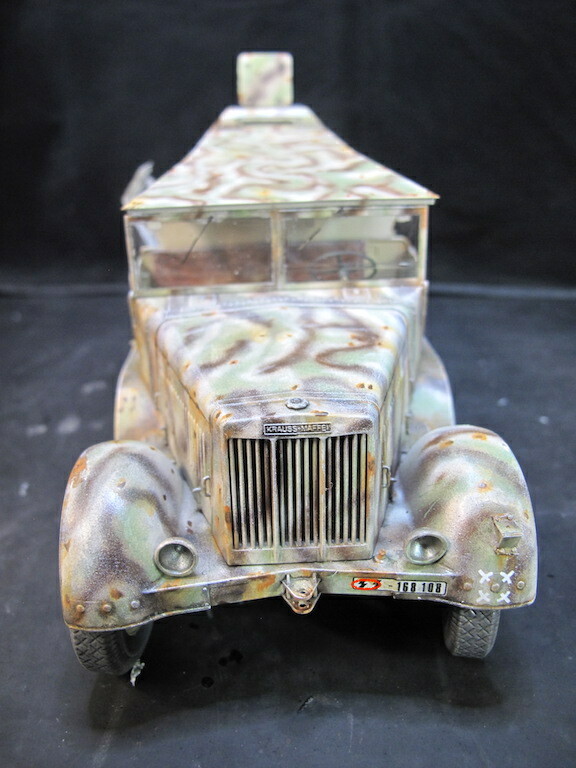 Bauberichte 1/35 und größer » The Feuerleitwagen for the V2 rocket. 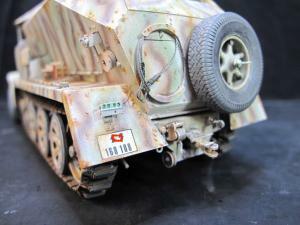 dmmb » Fahrzeuge und Waffen bis 1945 und Figuren » Bauberichte 1/35 und größer » The Feuerleitwagen for the V2 rocket. 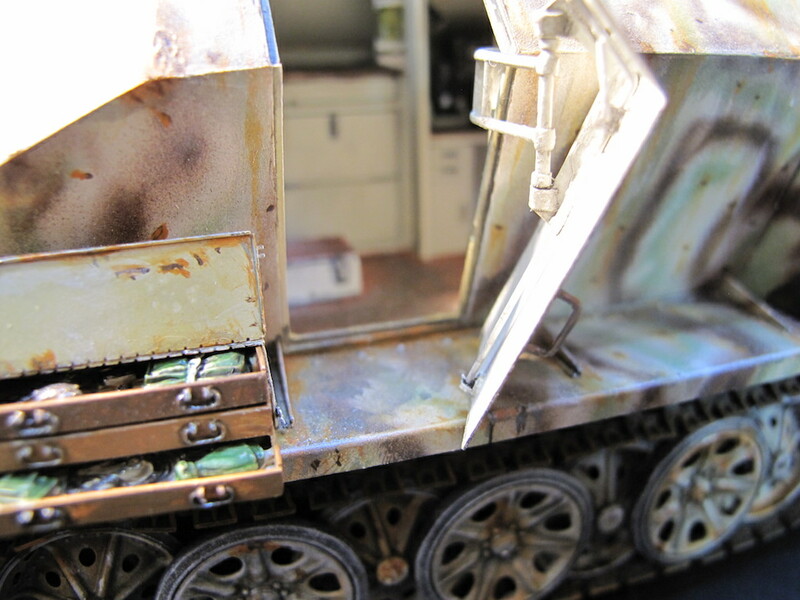 So after a long periode of building on my Meillerwagen, I want to make something else!! But it will be related to the A4 rocket . 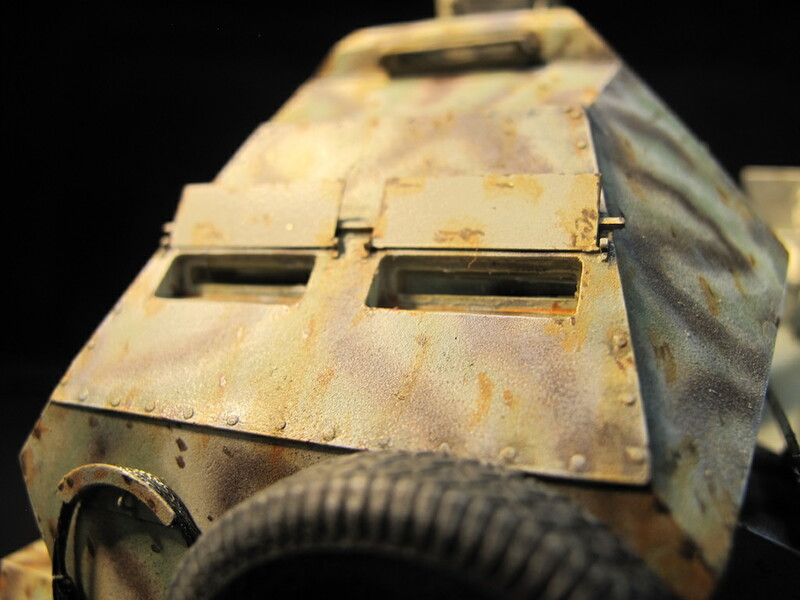 The Sd Kfz 7-3 for V-2 units. This vehicle is internaly named the FZ.Pos.No. 101 Feuerleitwagen. 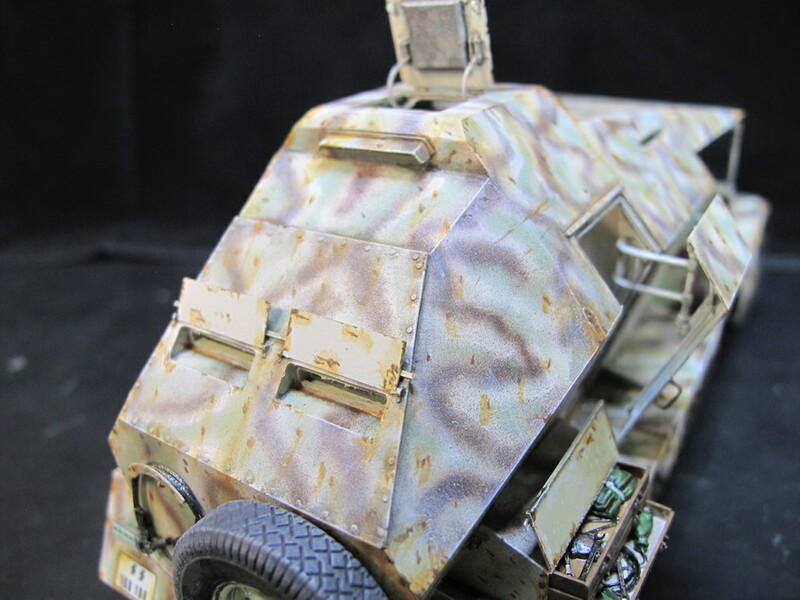 For the third version no Halftrack but a Opel Blitz with transportable launch equipment . 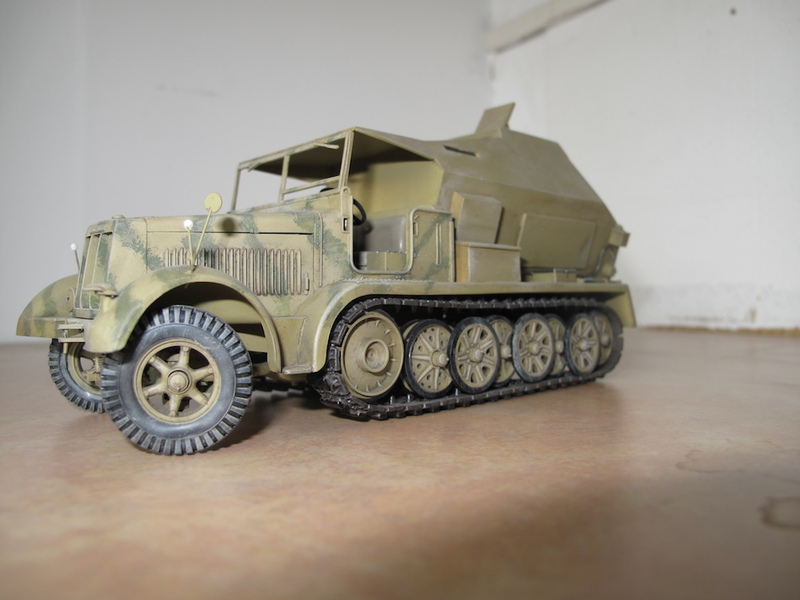 For almost one and a half year I have the conversion set for a Feuerleitwagen Sd Kfz 7/3 laying in my office together with a second-hand Dragon Sd Kfz 7-1 as the base model. Naturaly it is the best to start with a new Dragon kit, you don’t have to break it down to the basic 7 fahrgestell. 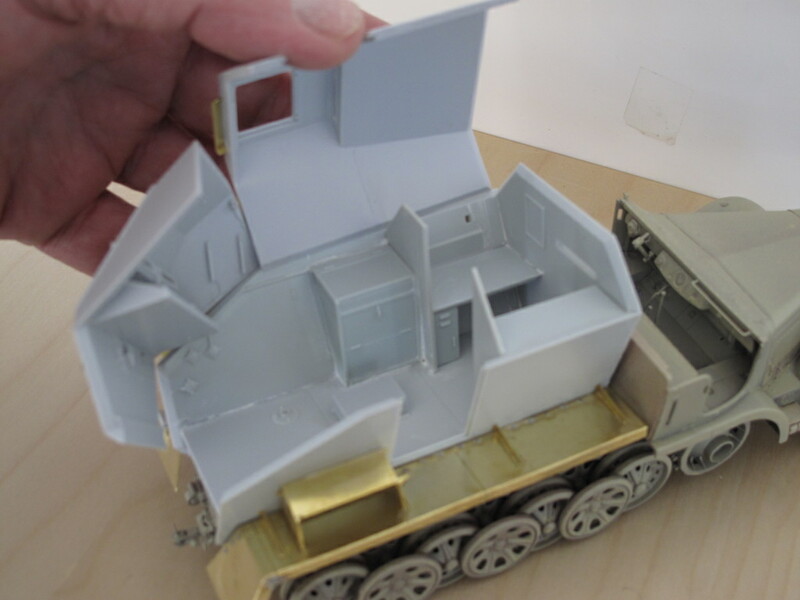 The feuerleitwagen rear box type shelter for the equipment to firing a rocket fits perfect to the Sd Kfz 7-1 just follow the instructions. 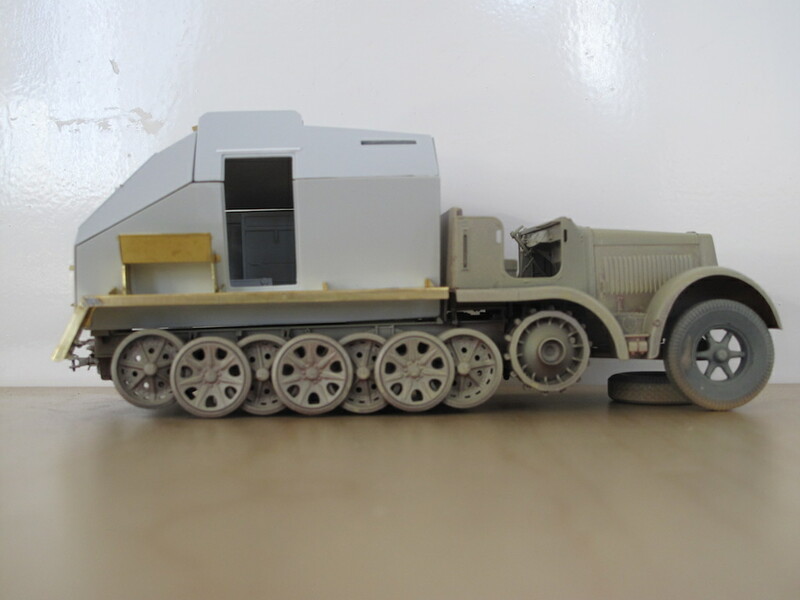 The Feuerleitwagen kit, I will use is from Leadwarrior and this is the updated version based on the last known information on the real thing. 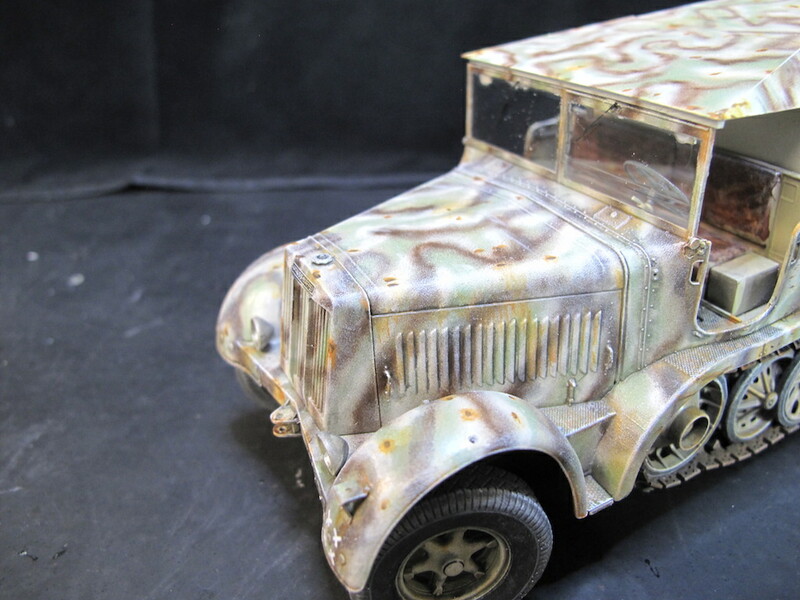 I will use the one with the interior, the conversion kit build straight and fast way , but do a good pre fit of the body parts, in my case the roof was a little bended . But it could be corrected with the help of a fohn. The first action I did was washing all parts of the set including the PE to get it free from any grease. In that way the glue and paint will hold better to the parts of the model. 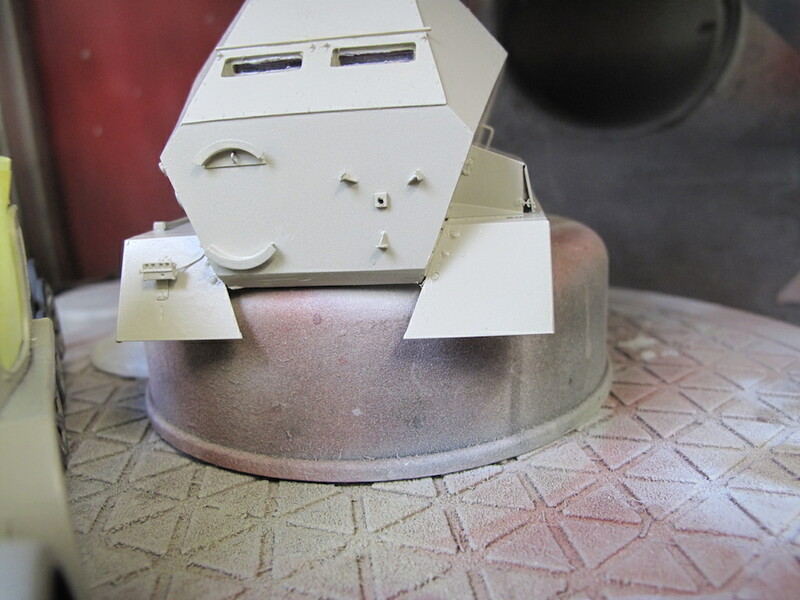 The Dragon model was already in a first layer of dark grey paint so no need to wash it. 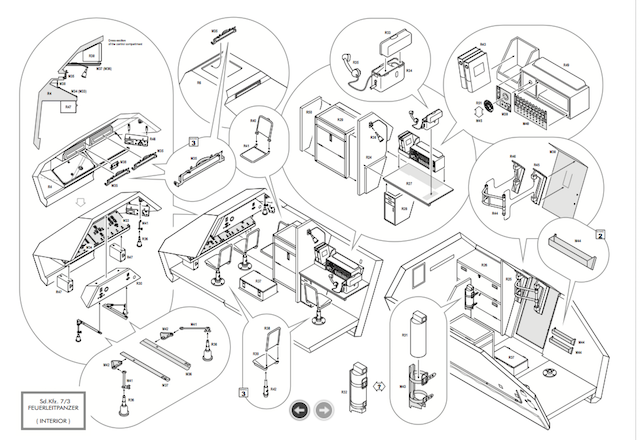 I find the four A4 pages of the building instructions from Leadwarrior very clear to use. 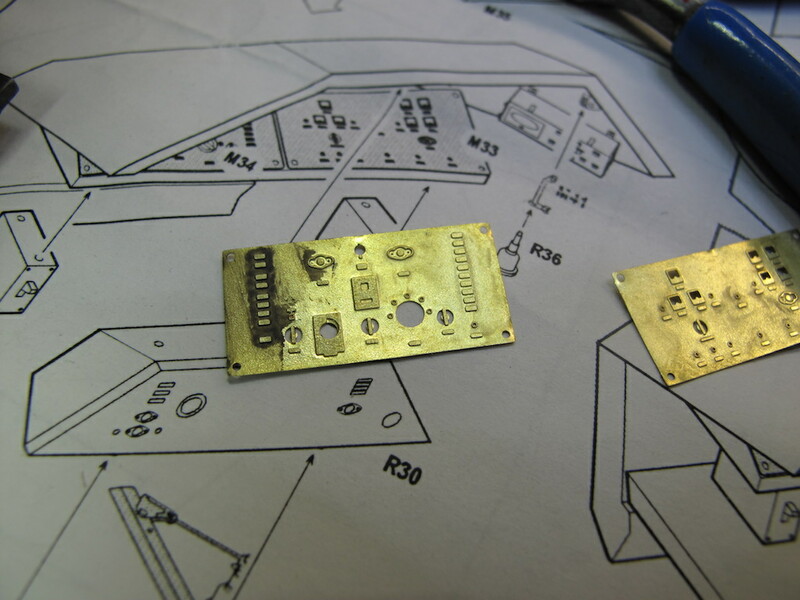 The pictures give a very good sight on what you on your workbench get, below the interior drawing. 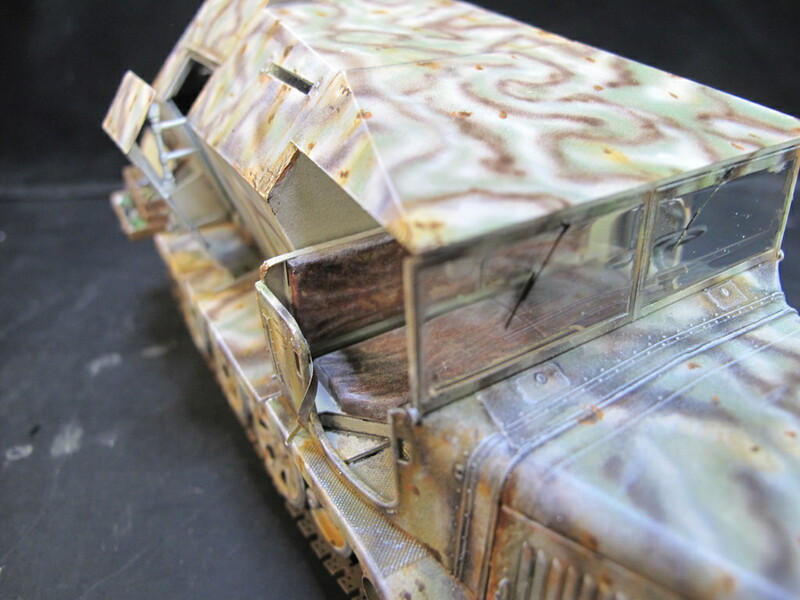 As far as I can judge the people from Leadwarrior did a great job creating the inside of this rare vehicle, could give just minor comments of the inside it is correct when I compare it with my photo collection. As you know from my other building reviews I will not write page after page with nice words, but I will try to do it with less words and more pictures. 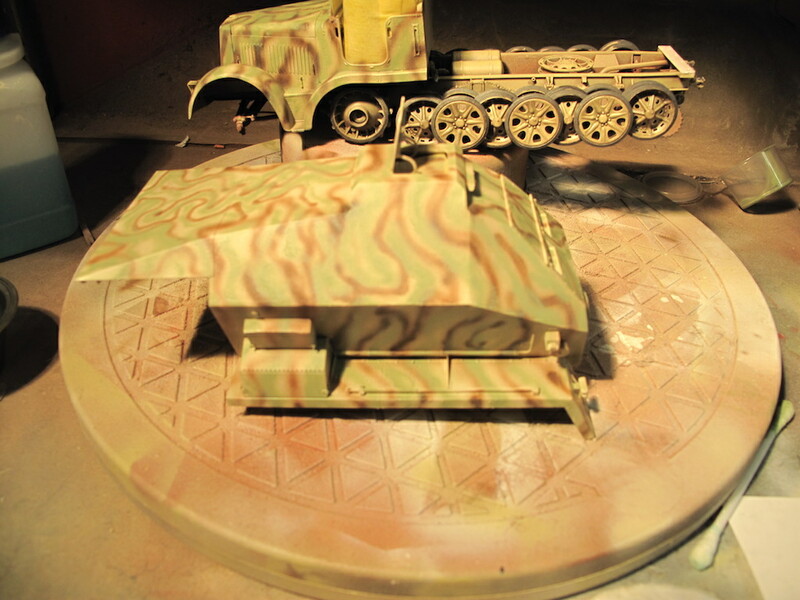 The Dragon kit in the first two layers of paint, the first red lead / mennig and the second dunkel gelb. 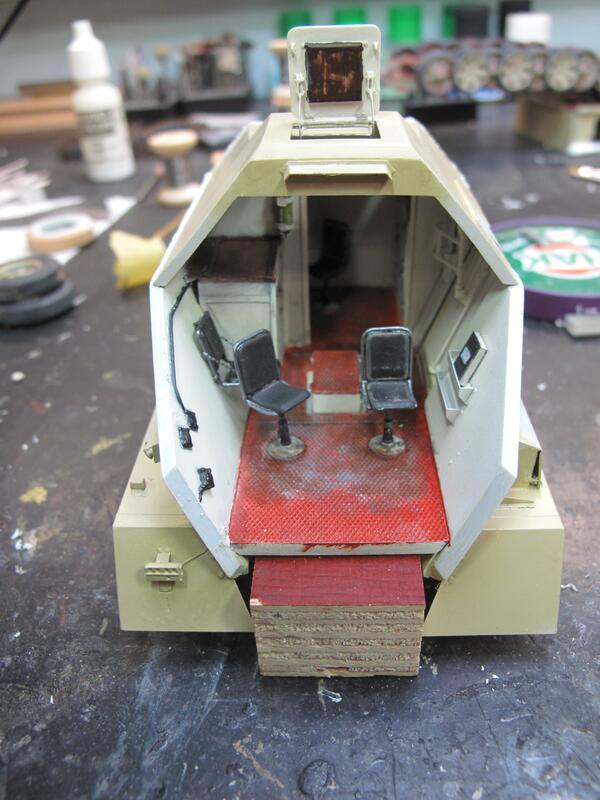 For the inside of the cabin I gone use the German Ivory inside colour for vehicles, for the floor I think a red lead / mennig colour with some metal colour on the worn off patches. 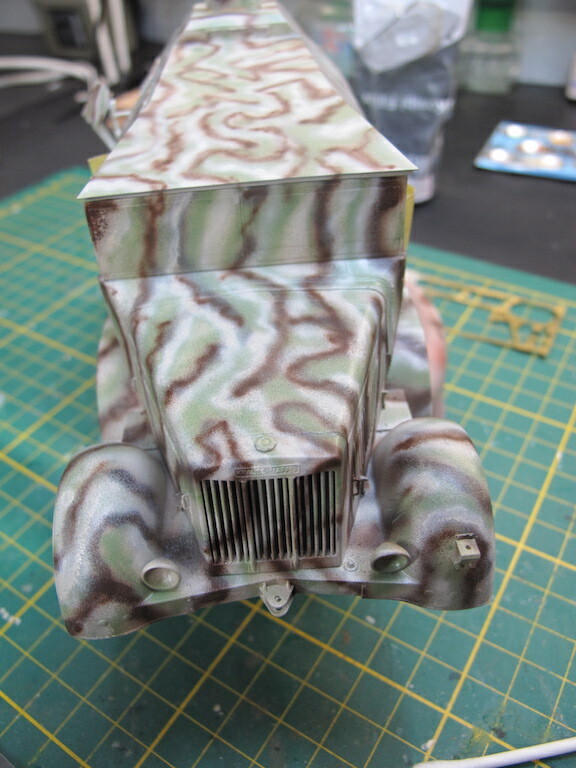 The paint I gone use will be the same colour set as the Meiller and Vidalwagen from MIG ammo. No I’m not that far !! 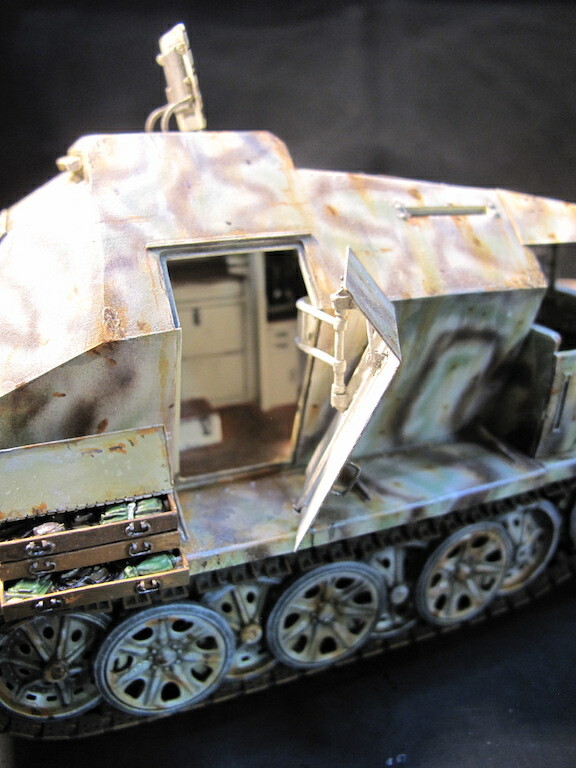 The above picture is from my first Feuerleitwagen based on the old Tamiya Sd Kfz 7 and yes it is a scratch build made from Tamiya play-plate, and made with the drawing of the good old Model Fan. 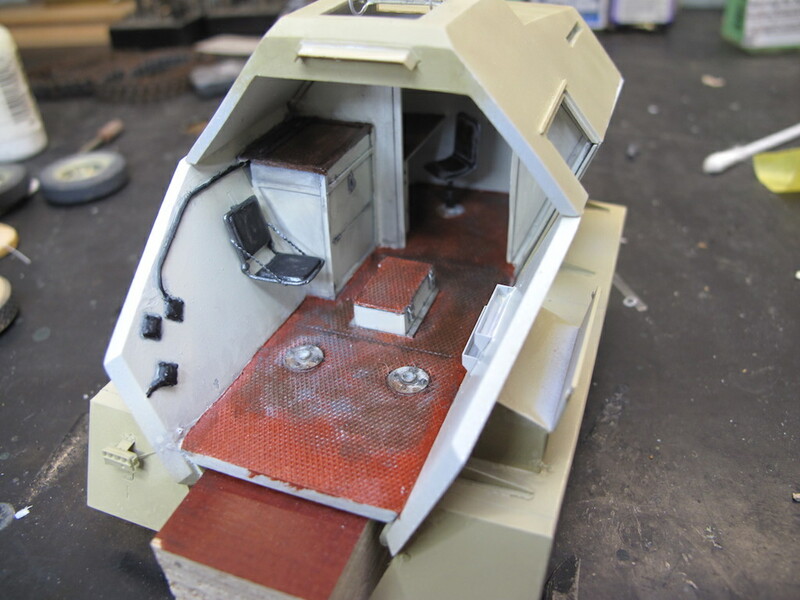 For the moment I’m still working on the inside of the model the inside is painted and almost all parts are on there place. 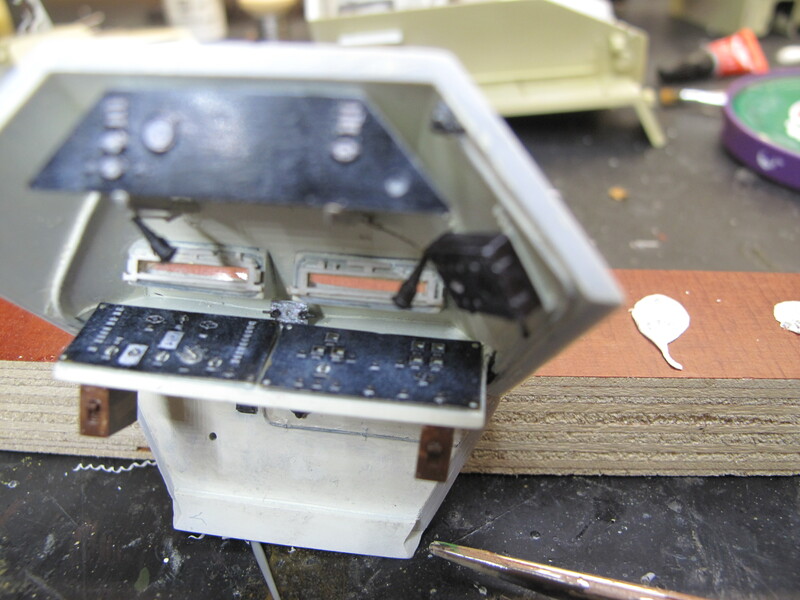 I must say that Leadwarrior made a very nice set of PE for this model and special the PE for the control panels. 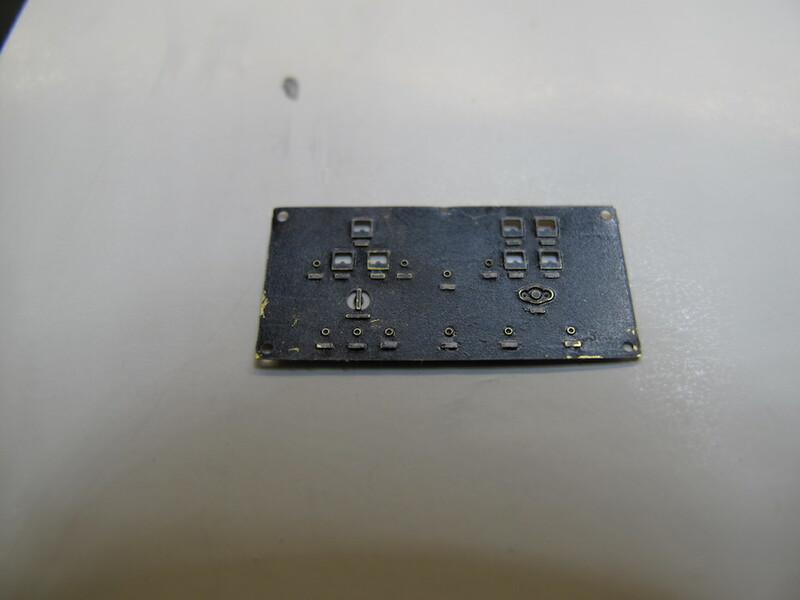 Did check them with the original drawings and every button, switch, signal lamp and measuring device are there. Everything gives a good impression of the real thing. Did give the floor a layer of mennig and then a dry brush with a bare metal paint an as a finish some dark brown earth. 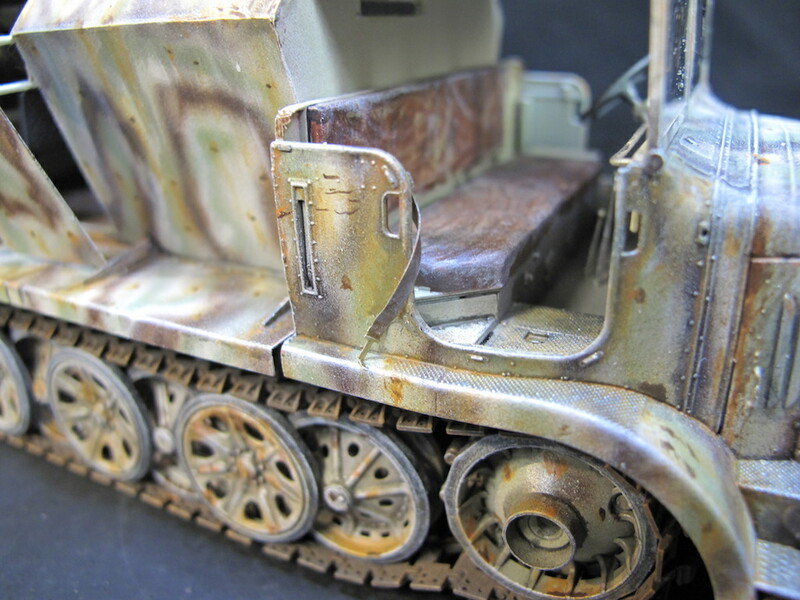 The commander seat can be placed up or down position and has chains as a support. 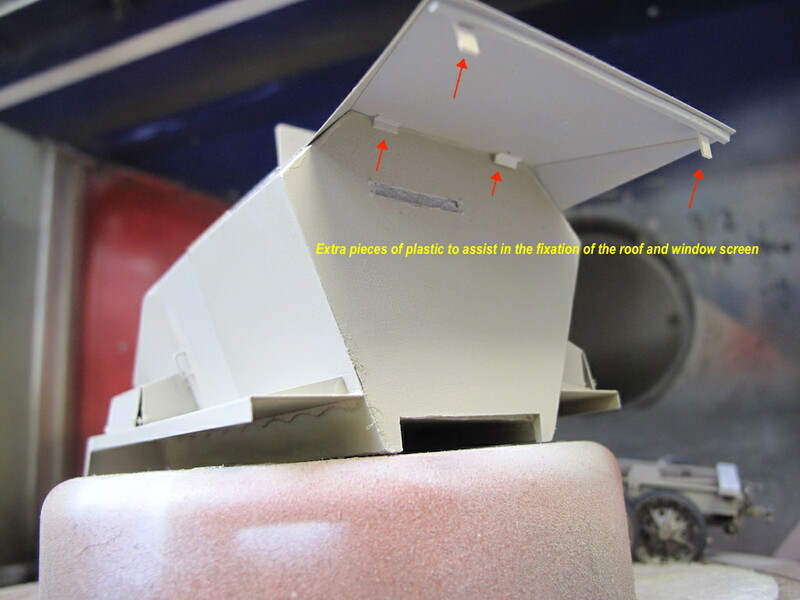 Some pictures of the launching panels in the rear of the vehicle. 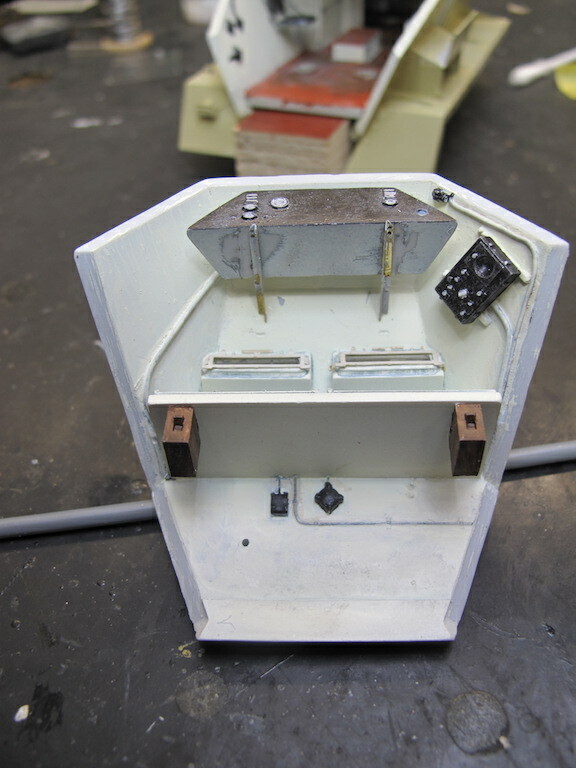 The entrance door of the launch cabin with the hinging and locking system. The front roof of the cabin is at it’s place. Finally the cabin is closed no more inside detailing. Real impressive and sophisticated work. 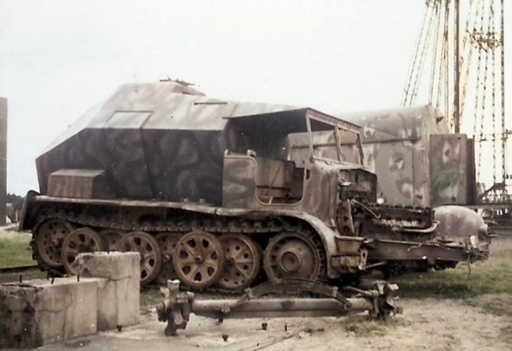 What was the job of the Feuerleitwagen or Feuerleitpanzer. 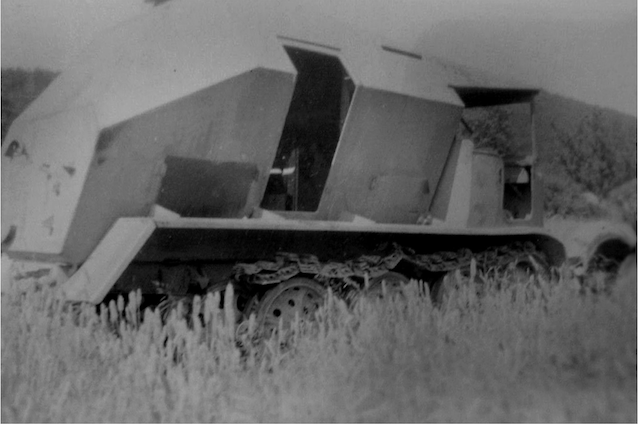 This vehicle was the command centre of the V-2 battery, here was the countdown to launch the V2 rocket. These four were the hart of the launch operation, in the Feuerleitwagen there were a number of consoles with measurements and control lights to over see the rocket. There were a number of controle switches to switch the pre launch stages of the rocket and finally the launch switch. 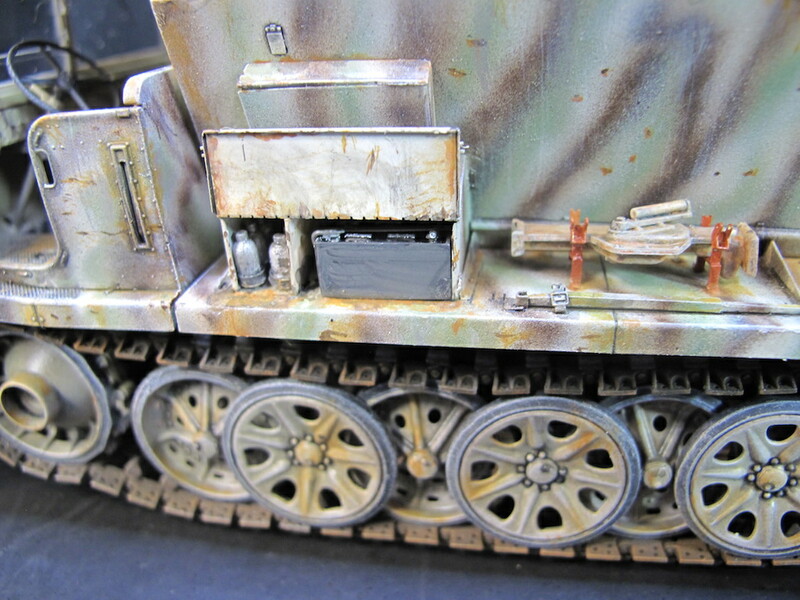 The Feuerleitwagen had also on board the telephone switchboard for the telephone contacts with the Meillerwagen 2 lines, the Steyr 1 line and connections to the several other unit vehicles. Specially for the Bren-schluss (engine stop) of the rocket. The grand total of vehicles of a battery is more than 150 different vehicles, trailers and motor cycles, as you can see not a small operation. 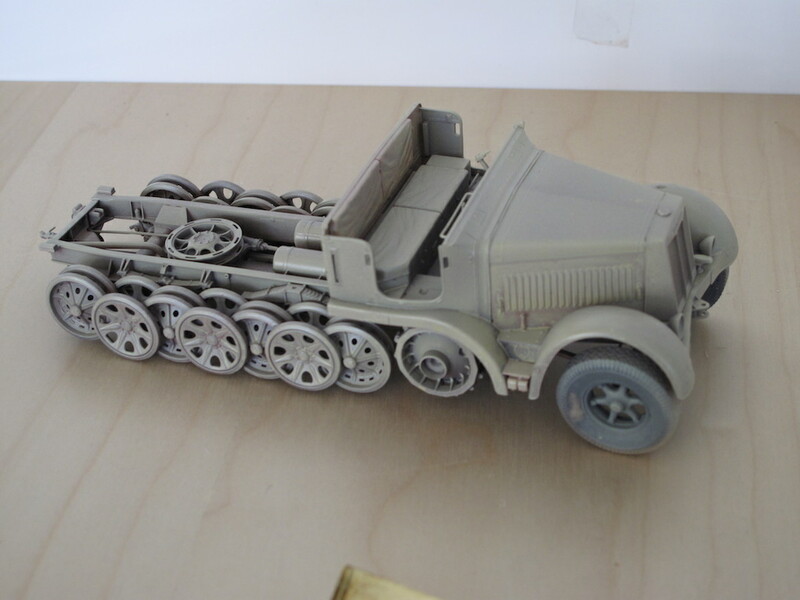 Back to the model of the Feuerleitwagen. 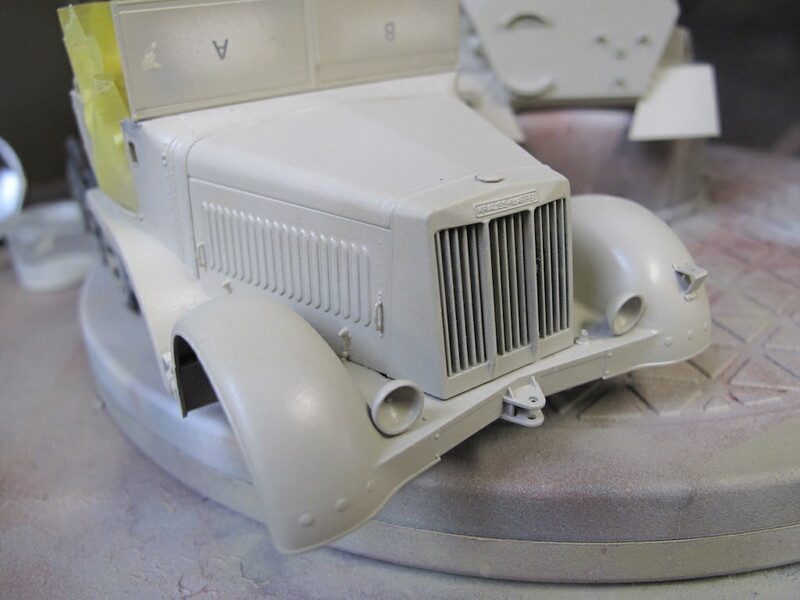 With the cabin closed the final jobs can be done outside detailing and painting the the vehicle. 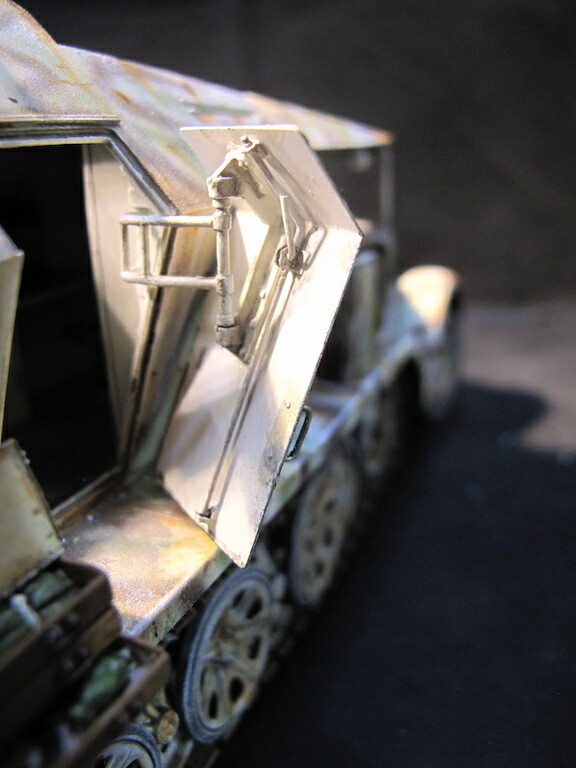 The picture above give a good view on the use of Lights when working on our models . The first with the model in my paint-cabin with Halogen and the two other under daylight led lamps, these pictures show how important it is to work with the right light colour, good daylight lamps have the light-colour 6500K (Kelvin). 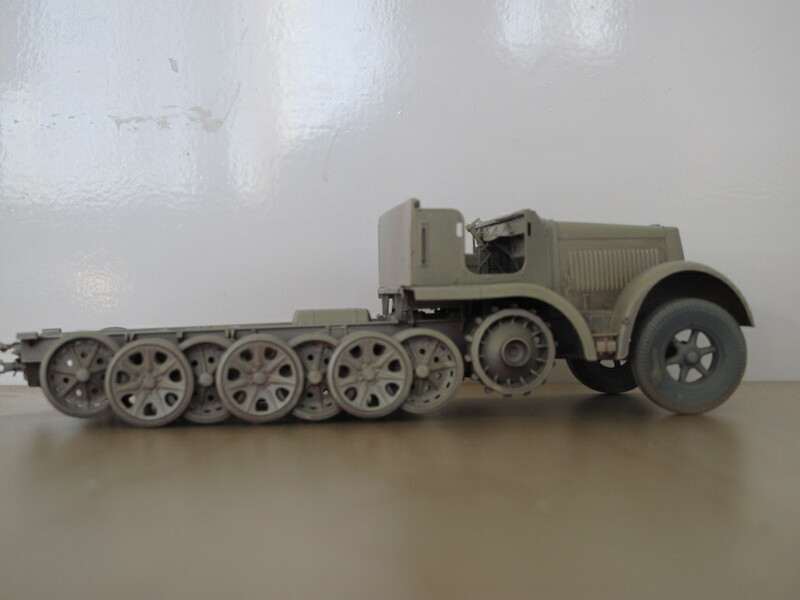 Last year we found a difference in the normal front axle of the SdKfz7 versions and the one of the Sd Kfz7 -3 Feurleitwagen. 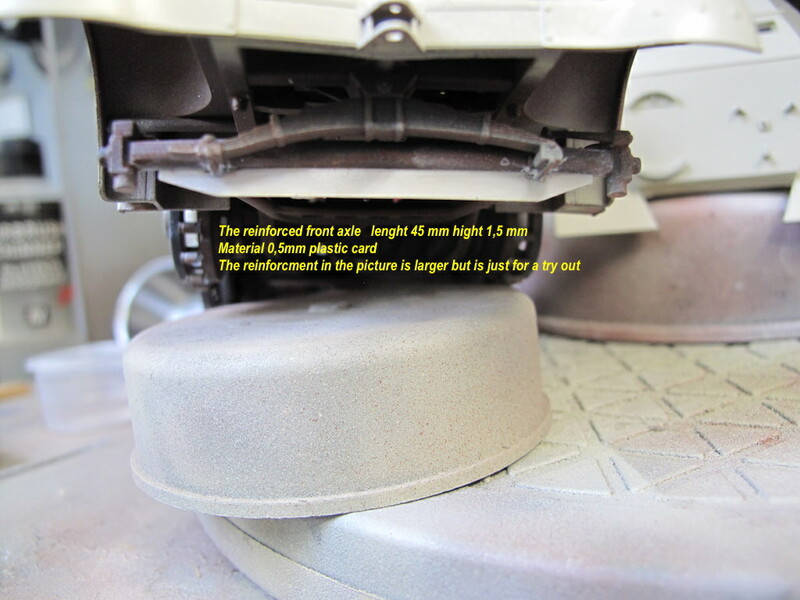 The Sd Kfz 7-3 has a reinforced front axle see the picture, this reinforcement is not documented , so what you see on the picture is a estimated measurement. 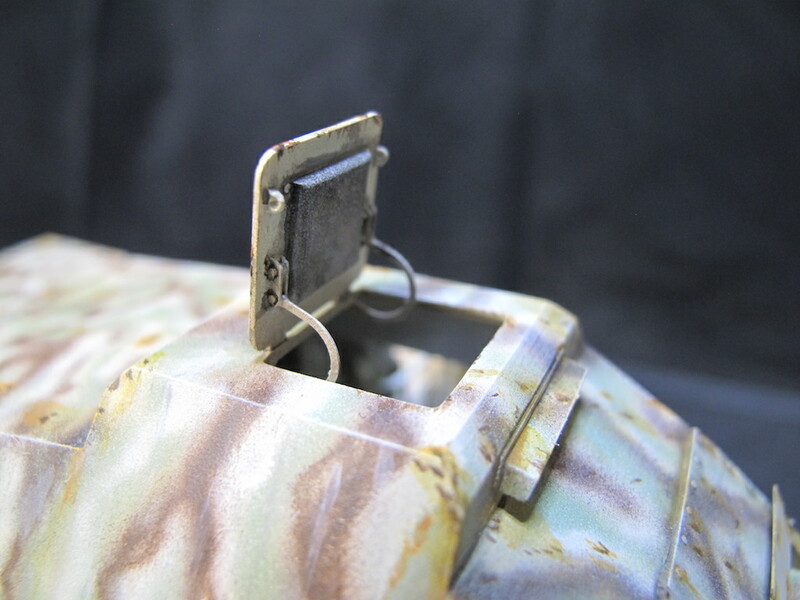 This is not in the Leadwarrior model because of the fact that the model was already fore sale when the reinforcement was discovered, for the same reason that there is no TFb unit in the interior. Have good news for those who are waiting for the new books of Volker Ruff. is between the end of April and June this year. Wahnsinns Arbeit, Bert. Ich finde es nach wie vor unglaublich, mit welcher Akribie Du recherschierst und baust. Ich ?!? Das war ich nicht, das war schon so! Ehrlich! but with a good result as I may say so. colours used by the most secret unit of the German Wehrmacht in 1944/45. and these free to use are not perfect but very use full. so it is painted in the three colour scheme of 44/45 . 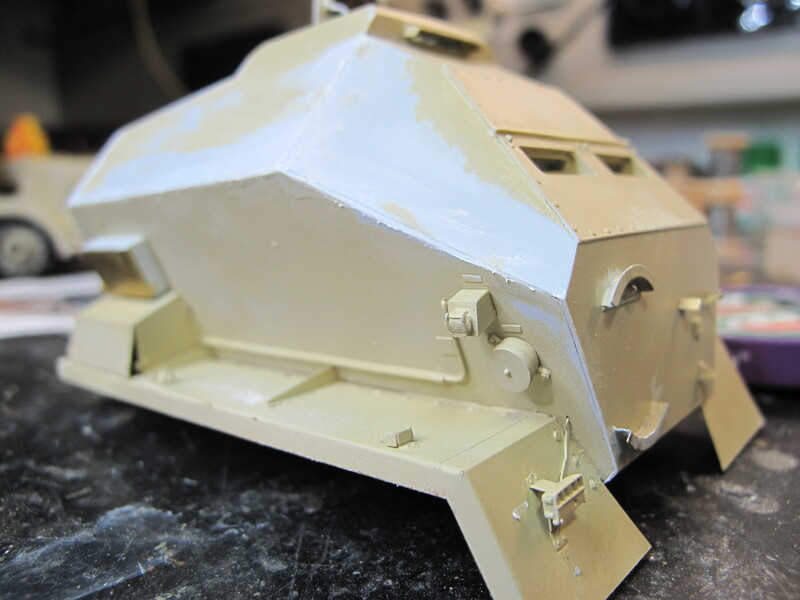 order the needed paints at your shop, in my case those from Ammo MIG. I think that I get a better result by following my feelings. And I do not agree with those who say that all paint was exactly the same, like now days by following theRAL instructions, certainly not at the end of the war.When every type of pigments was used and also a number of differed dilutions from water to diesel and benzin. 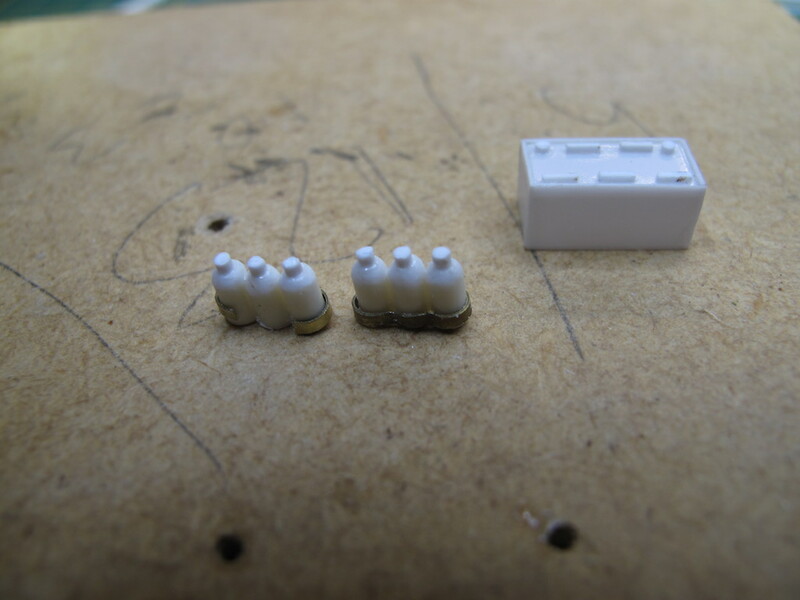 I made six new flasks (containing oil) and a other new battery. in scale 142 mm and a diam. 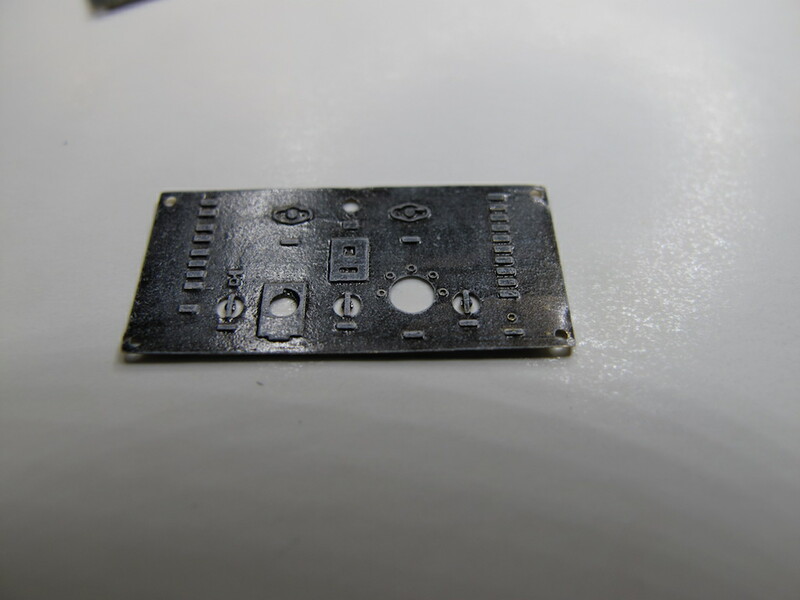 of 6 mm to scale 0.45mm. So please take a look at the pictures of this fine combination of kits by Dragon and Leadwarrior. So this is the final step of this review. 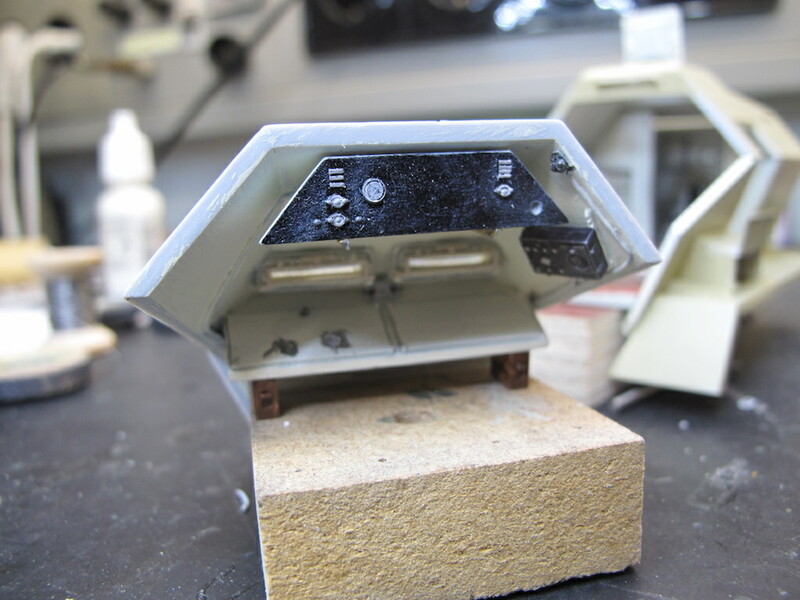 In the near by future I want to place this model on a Dio base, situated in the Eastern part of the Netherlands. March 1945 as a tactical weapon against the American army. 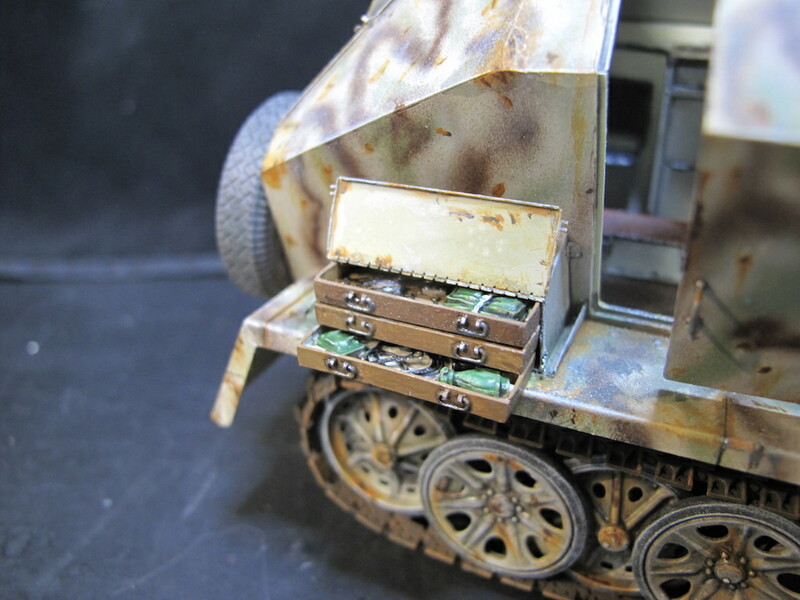 Hope that this review is useful for builders of this very special Halftrack. but I only know them from pictures in a magazine or from the there webshops. Ps if you have questions about this build please get in contact. With many thanks to my fellow members of the IV2RG[/i] (International V2 Research Group) for there support in my V-2 related building projects. 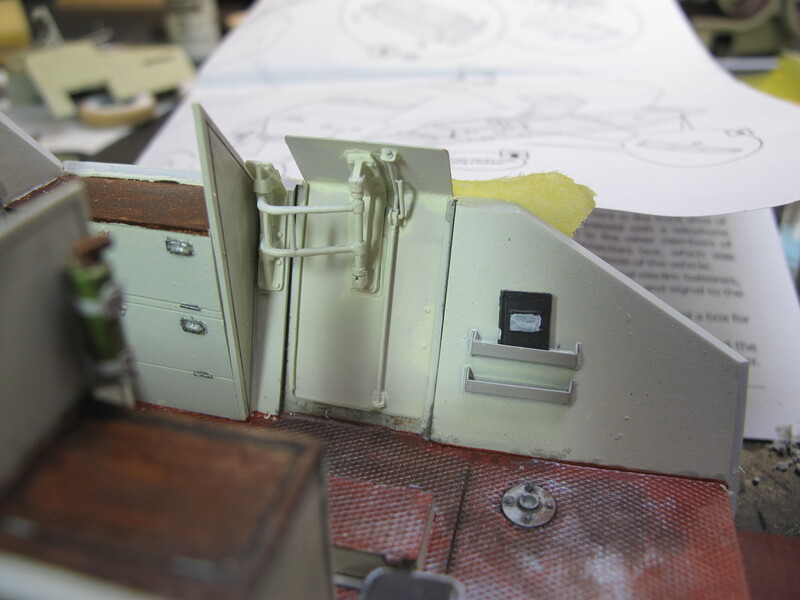 Kitmaker has some pictures of the sprue see the following link. 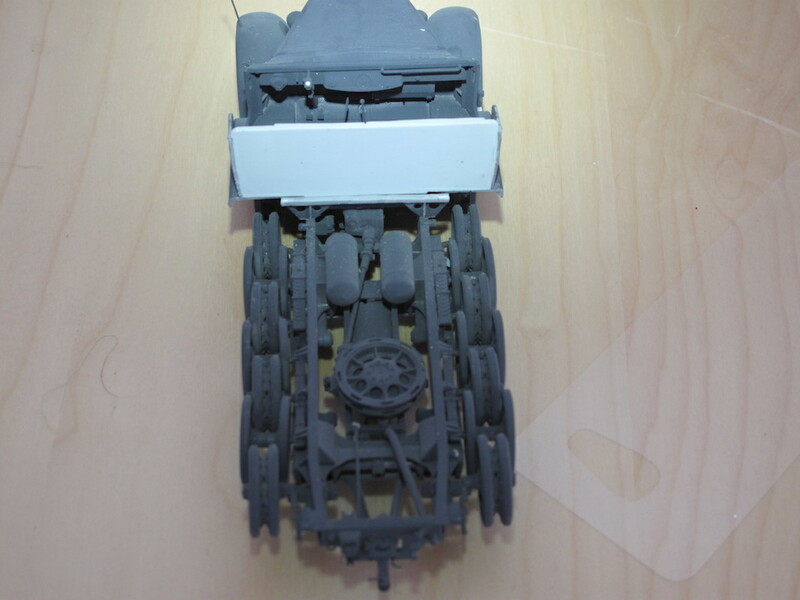 Released a year after it was first announced, here are further details and images of the kit contents.Sd.Kfz.7/3 Half-Track Artillery Tractor (09537). 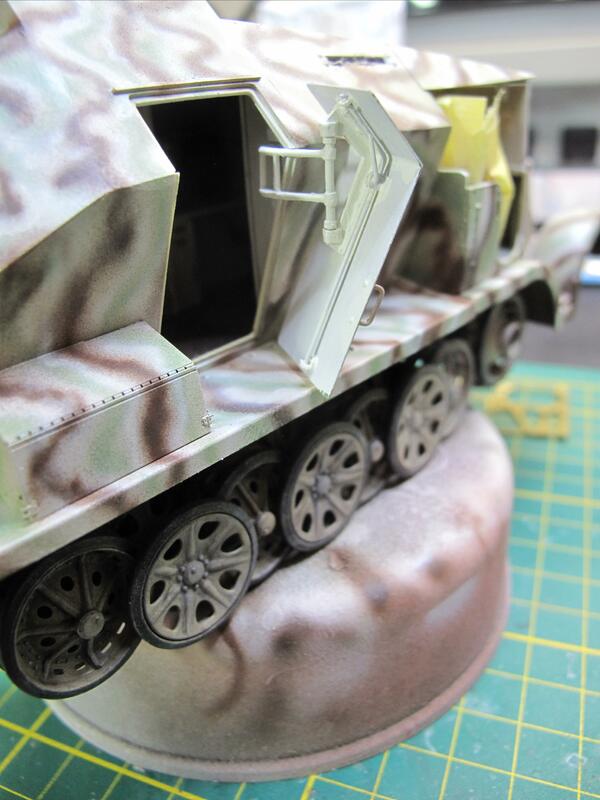 Containing 900+ parts including photo-etched details, the kit boasts of newly tooled parts, individual track links, and rubber tires with fine detail.